The Economic Development Division provides information and assistance to companies looking to start, expand, and/or relocate to the City of Colton. 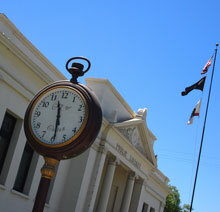 If you are looking for a city that supports business, then Colton is your place. “Location, location, location” is the mantra of business, residential, and commercial real estate. Selecting the right location may be the most important decision that a business or resident makes. The City’s Economic Development staff markets the City as an attractive business location and proactively contacts Colton businesses, as well as companies seeking to expand and/or relocate to the City of Colton. 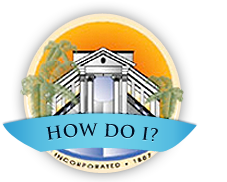 Business retention, expansion, and attraction activities include providing interested companies with valuable information and resources to help make the decision to locate or stay within the City of Colton. Business creation is the encouragement for the growth of new start-up businesses. There is no alternative to private sector investment as the engine for economic growth. Sustained economic growth can provide sufficient incomes for the local labor force, profitable business opportunities for employers, and tax revenues for maintaining an infrastructure to support this continued growth. A growing presence of retail, warehouse industrial, and manufacturing are indicative of the city’s commitment to economic growth. Available sites and a “can-do” attitude toward economic development make Colton attractive for successful relocation and for new enterprise. Colton is business friendly and Colton Means Business! If you are interested in starting, expanding, or relocating your business to Colton, please contact the Economic Development Division for assistance and information. Colton is the right location for your business to make money!